The currently closed section of Downing Street. Photo by Ashley Klann. has put it on the national map with regard to institutions of higher learning. That is a good thing for Clark and for Worcester; nonetheless, much of what Clark has done over that same period of time has served to diminish the integrity of Main South. From the sale by Clark of 1010 Main St. (a quick reference to the Telegram & Gazette archives will reveal that neighborhood demonstration and protest were significant and sustained but could not protect 1010 from the wrecking ball), to its decades long destruction of triple-deckers, Clark has put its at-the-moment interests ahead of the interests of its neighbors and, by extension, the city of Worcester. It has poked holes in the fabric of a largely owner-occupied, generationally stable neighborhood and slowly tailored a new and less diverse neighborhood in its own image. The University’s acquisition and destruction of triple-deckers over the years has been breathtaking and can be rivaled only by the city itself. Clark has demolished dozens of these quintessential New England family dwellings since the early 60’s. In the late 80’s Clark tore down the oldest triple-decker in Worcester (128 Woodland St.) because it wanted the empty lot. These buildings in many ways were—and still are—the architectural hallmark of Worcester. Unfortunately, there are fewer and fewer examples. 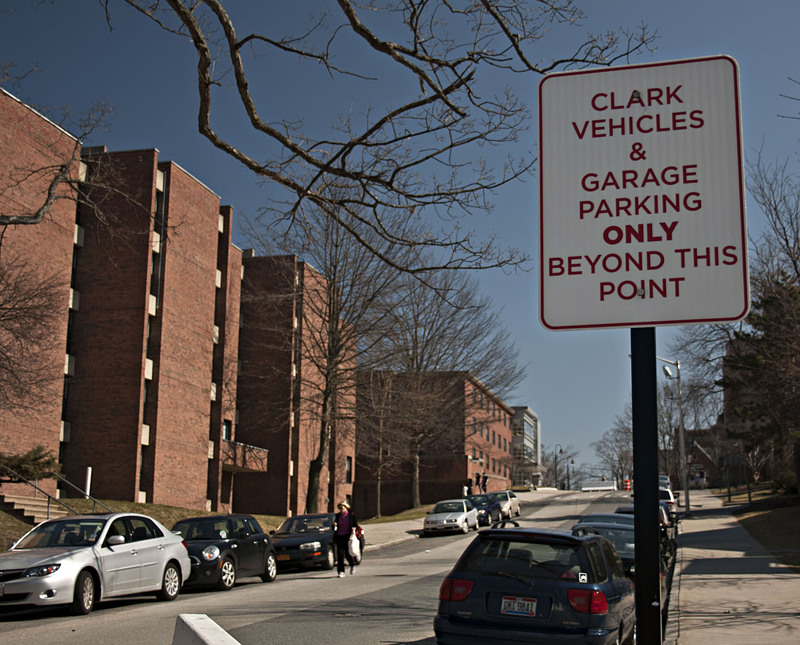 Clark has gone from the small university in the neighborhood to the dominant force in this section of Worcester. It has foisted a kind of Institutional Academic Gentrification upon its neighbors that has gone unchecked, making most of Main South its de facto feudal domain. Would the neighborhood have changed anyway? Of course; but this conversation is one of degree. The contention of this letter is that Clark has radically changed the essence of the neighborhood through its prolific and unrelenting acquisition of property. One small but telling example of Clark’s indifference to its neighbors is its acquisition in the early 80’s of the Woodland St. Annex Building, at the end of Woodland St. near Maywood St. For a period of about four or five years after this acquisition, trailers were brought onto the Woodland St. Community School playground to serve as classrooms for the kids who would have attended Woodland St. Annex. Public school students were shortchanged so that Clark could have what it wanted. Clark “improved” its campus at the city’s expense, especially at the expense of the kids of Main South. Clark would have the people of Worcester believe that Main South would die without it and hence Clark can do no wrong. At some point Clark must know when to stop with regard to its appetite for increasing its footprint. Clark must accept that it cannot own everything without alienating many of its neighbors. Most recently, Clark acquired a section of Downing St. stretching from Florence to Woodland. Next will it try to acquire Downing St. from Woodland to Main? And after that will it go for Woodland St. from Downing to Charlotte? It is clear that Clark University is separating itself from the city of Worcester and Main South in particular because it feels entitled to do so and it has an essentially indifferent City Council as its only foil. The opinions and concerns of the people who live in the neighborhood are paid lip service and then trodden over. The meetings on Clark’s campus last summer (in Lurie Conference Room) and the City Council meetings of the fall and winter of 2011 demonstrate this. Public access to all of Downing St. is an essential part of safe and harmonious living for the people of the neighborhood, many of whom were born and raised on the streets surrounding the University. For many residents, the neighborhood they were once proud to proclaim is no longer. Nothing about possessing Downing St. improves Clark as a university: education is not improved; quality of life for students and staff is not improved; and safety is a non-issue. Clark has taken Downing St. because it can. I am calling on Clark students to petition President Angel to change Clark’s course of action regarding Downing St. while there is still time. Before Clark becomes a Gated Community, shutting out its neighbors and the rest of Main South, Clark Students have the ability to foment change through direct action. Call your President. E-mail him. Stand in front of his home and speak with him when he comes out. Engage him in conversation. Go in numbers. There is power in the well-mannered group. Show him that Clark does not exist at the expense of its neighbors. Please keep in mind that I believe in change. I fully understand and am aware of the simple fact that change is essential for a modern, healthy, vibrant city to flourish. Change is one thing; garrisoning one’s interest at the expense of one’s neighbors—as I believe Clark is doing—is another matter entirely. President Angel can become a local hero by simply returning Downing St. to the city street map…where it belongs.